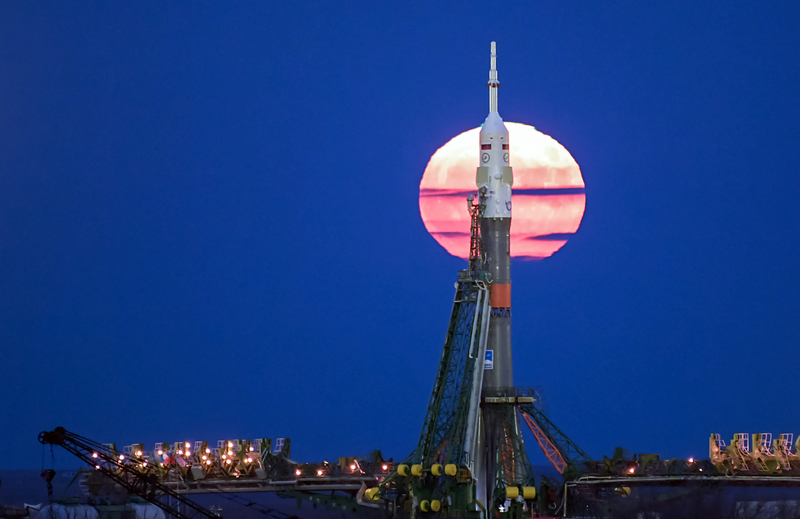 The supermoon rises behind the Soyuz MS-03 spacecraft at the launch pad in the Russian-leased Baikonur cosmodrome in Kazakhstan. U.S. space transportation companies are behind schedule with their systems. The U.S Government Accountability Office (GAO) recommends the National Aeronautics and Space Administration (NASA) to buy additional seats on Russia’s Soyuz spaceship because of American delays in the development of crew transportation systems to the International Space station (ISS). The recommendation, published on the GAO’s website, states the importance of maintaining continued access to the ISS, and to ensure this after 2018. One main option suggested is to purchase additional Russian Soyuz seats. If NASA chooses to go with the Russian option, then it will take about three years to process the order. If the Commercial Crew Program is delayed even further, and if it does not develop a feasible emergency plan, NASA risks squandering its multi-billion dollar investment in the ISS. The two contractors—Boeing, and Space Exploration Technologies (SpaceX)—are behind in the development of new crew transportation systems. They must meet NASA standards for human spaceflight. While both made progress developing the systems, they also face ambitious development schedules, said the GAO report. Both Boeing and SpaceX concluded that they won’t be able to meet their original 2017 NASA certification dates. Instead, they predict the transportation systems will be certified only in 2018. NASA’s current contract with Russia’s space agency ends in 2019, and the need for a new viable crew transportation system to ISS before then will pose a serious challenge for NASA.